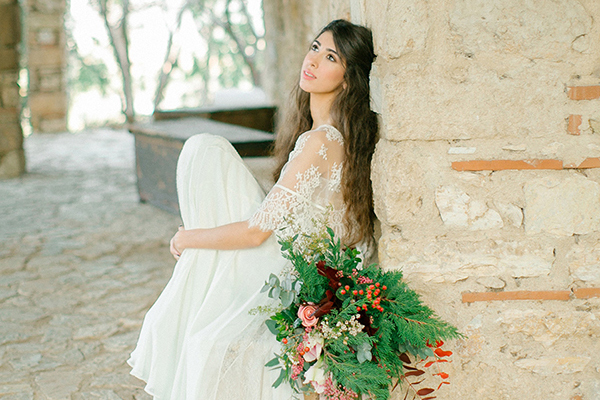 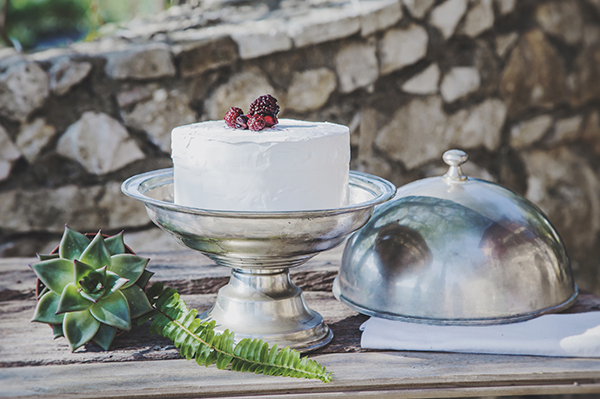 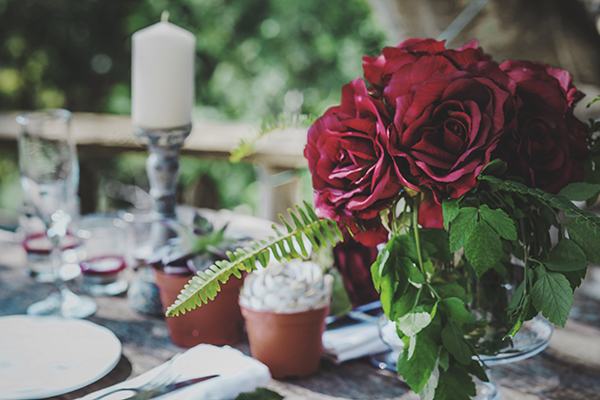 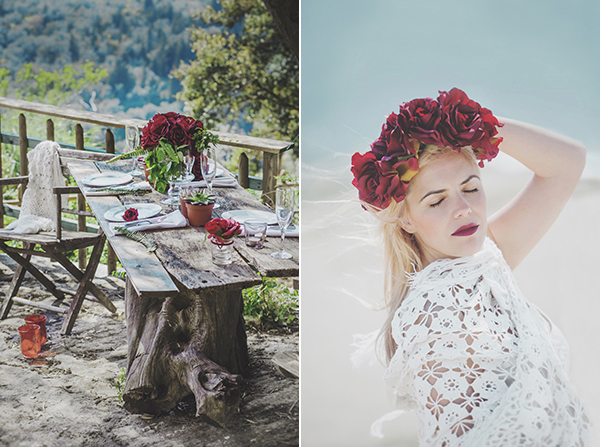 We just simply adore the richness of the berry colors in the botanical wedding inspiration shoot that the Lefkada Photo team sent our way. 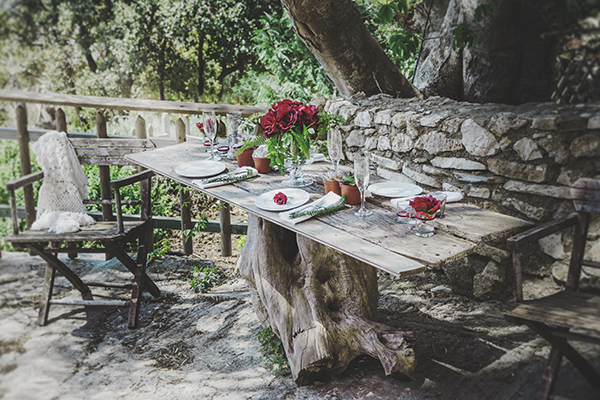 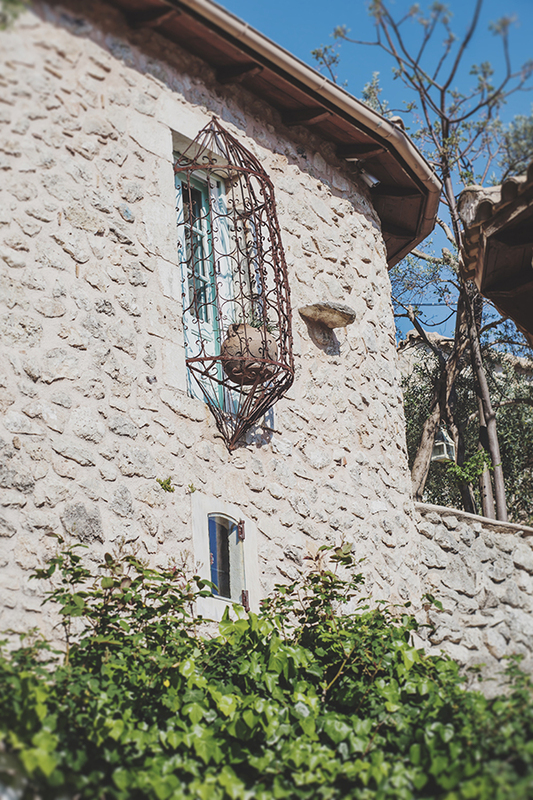 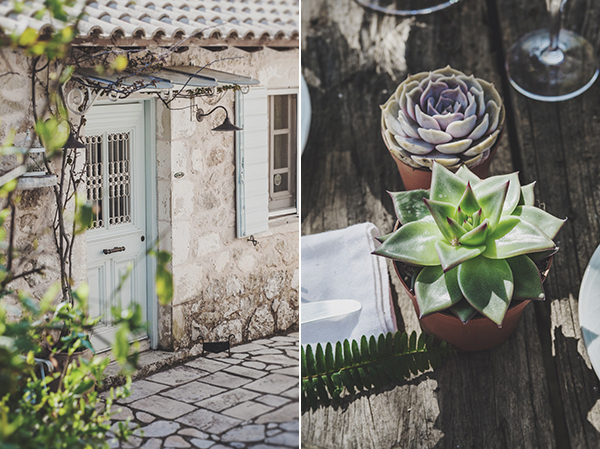 The gorgeous shoot took place at one of our favorite venues, the Pavezzo Country Retreat located on the breataking Ionian island called Lefkada. 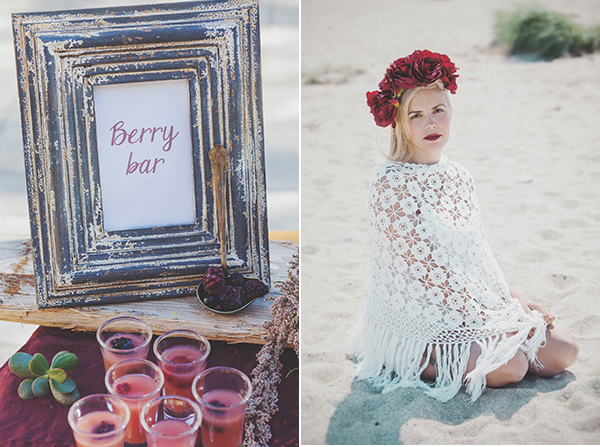 If you are looking to feel inspired, don’t miss this beautiful photoshoot and make you check out the very creative and colorful berry bar idea! 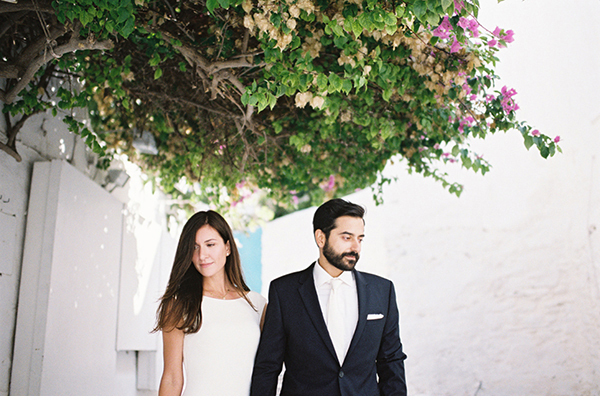 The Lefkada Photo team shared with us: “We are a photographer married couple in love with wedding photojournalism, working all over Europe, but currently based in amazing Lefkada island. 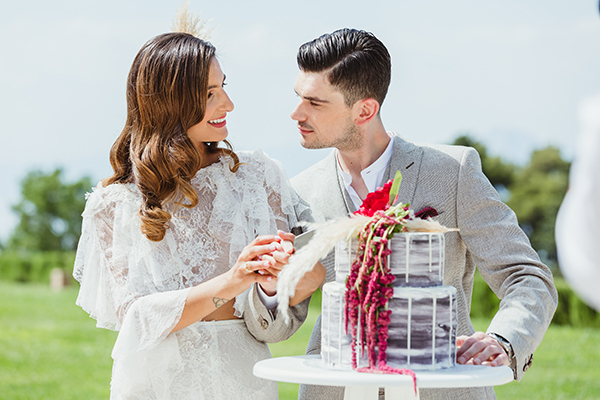 When we are out of the wedding season, we take part in styled shooting projects – even though it can’t give us caught moments, real emotions and the special excitement of a wedding day, but can give us some eyecandies, style inspiration and lots of fun with our team. 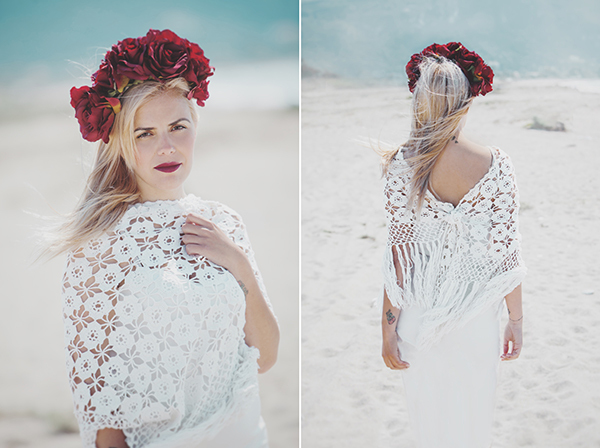 We worked in two venues: on the always windy Gira beach which offered a perfect windy place for the contrast of the romance of roses and the free spirit of the tattoos-crochet etc. 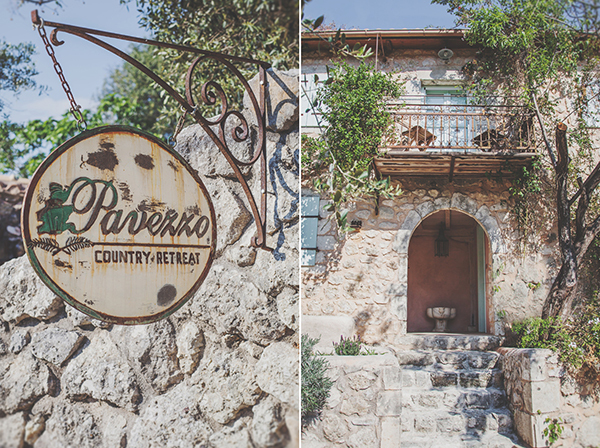 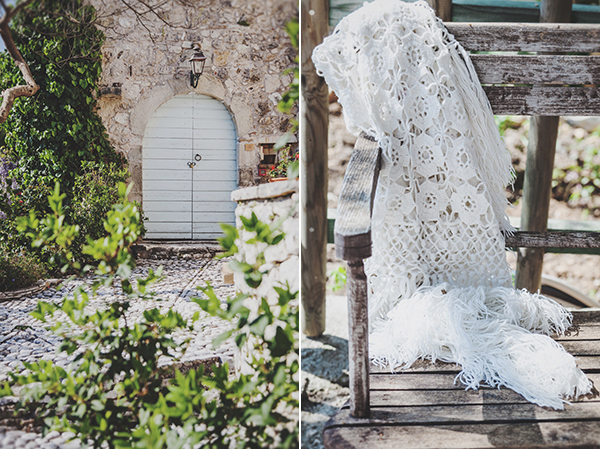 The decoration photos were taken at Pavezzo Country Retreat which is a perfect background with its natural fabrics and textures. 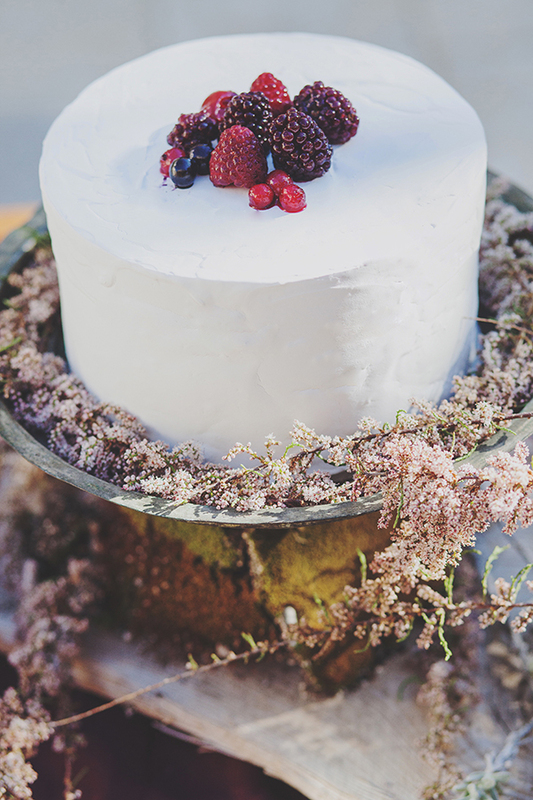 My colleague, Alexandra from Apotypoma created the lovely, spectacular yet simple decoration for the shooting. 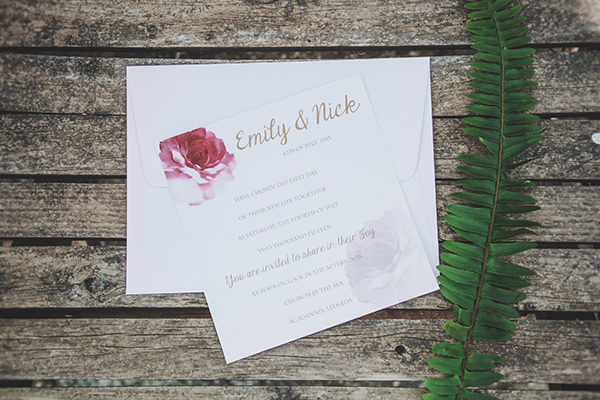 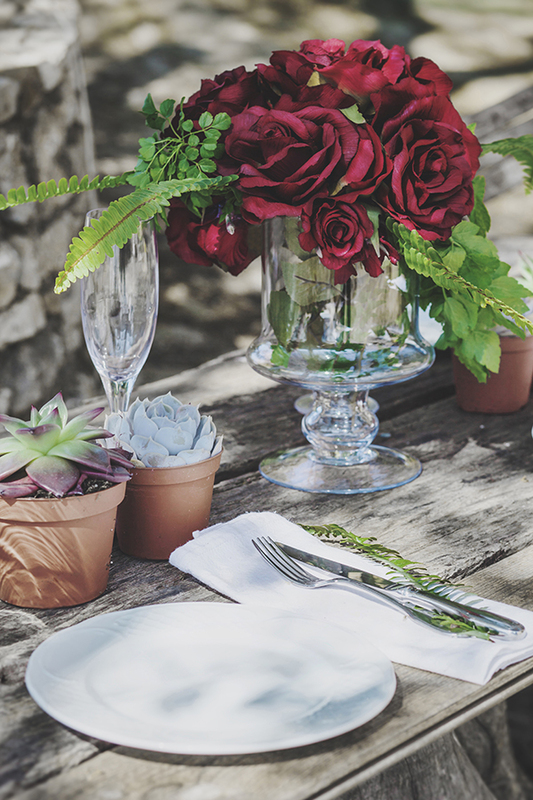 With this marsala-inspired styled shooting we wanted to create an inspiration board for brides and couples who would like to seal their love with rich romantic colors and a unique but timeless feel”.